There are albums that I return to again and again. Today’s Active Lifetstyles is one of them. 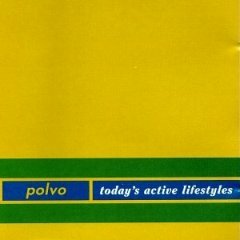 Before Battles reinvented Math Rock for the new millennium, Polvo were the most visible members of a rather small club of math rock artists that existed around the early to mid-1990’s. I have already posted on their third album Exploded Drawing and although I really like that record, Today’s Active Lifestyles works for me a little more. I’m not sure if it’s because it’s a little rawer than Exploded or whether i find the tracks more evocative than it’s follow up. The sheer joy of Polvo is the complexity and denseness of the music they create. 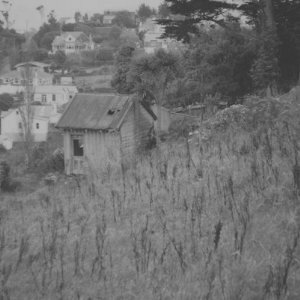 I think this record really capture Polvo at the height of their powers. It isn’t as sloppy and college rocky as their debut Cor Crane Secret and not as tediously dull as their final record Shapes. What you get is a sophisticated primer to math rock and probably one of my favourite records of all time. This may be heresy to some but I think it’s way better than Spiderland and a much better may of spending your hard earned dollars. The only thing I can find from Today’s … is a short exert of Kimino. So last year I take some time off for the birth of my son. Between sleep deprivation and mild cabin fever Amazon.com became my music oracle. Now I can’t remember why the oracle said I should buy this but I did. It’s great. It’s all strange time signatures and arty-rock guitar and is reminds me of my love of mid-1990’s indie alt-rock. The oracle is obviously on crack.